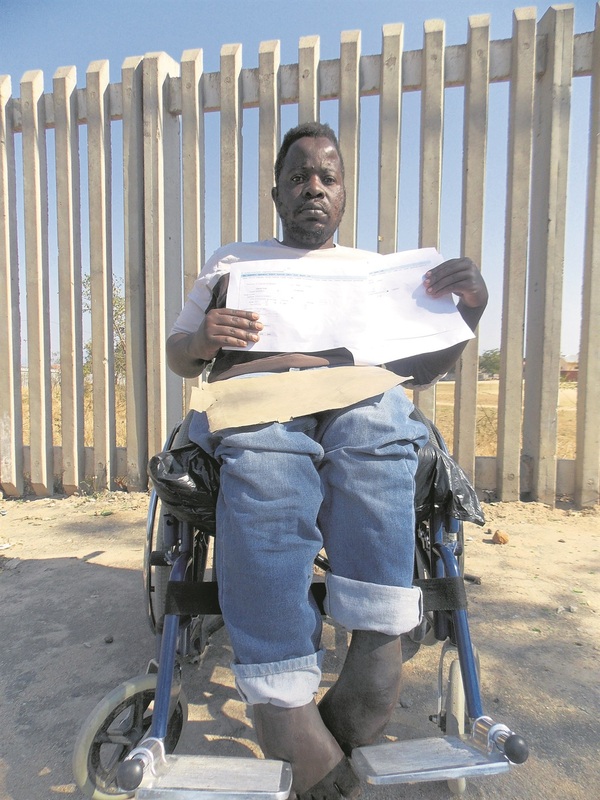 ALTHOUGH Franklin Mathebula owns an RDP house, he’s still living with his parents. This is because he is in a wheelchair and the house he was given doesn’t cater to his needs. The 36-year-old from Thulamahashe, near Bushbuckridge in Mpumalanga, said when he first heard he would be getting a house, he was very happy. “I went to choose a stand at section C in Thulamahashe and a house was built. “It was handed over to me but it didn’t cater for my needs,” he said. Franklin said he was unable to move his wheelchair around the yard and was forced to move back to his parents’ house, leaving a relative to stay in the RDP. Making matters worse, he found out earlier this year that he had no proof that the house even belonged to him! “I visited the Bushbuckridge Municipality to check if my title deed documents were ready only to be told that the house was built on a stand belonging to someone else,” he said. “I have since been sent from pillar to post. Bushbuckridge municipal spokesman Aubrey Mnisi said a meeting was held with Franklin earlier this month and officials were looking for ways to resolve the matter.